You may be familiar with flash fiction from such contests as the WOW! Flash Fiction Writing Contest, but have you ever heard of micro fiction? Micro fiction is a subgenre of flash fiction. Flash fiction generally describes stories under 1,000 words – between 250 and 750 for the aforementioned contest. So micro fiction are stories much shorter than that, clocking in at 300 words to as few as 6 words. With the advent of Twitter, 140-character stories – which could range in word count depending on the number of letters per word – also fall into the micro-fiction category. One of the most challenging aspects of writing for my students – and, if we’re being honest, for me – is keeping the prose detailed yet concise. I enjoy challenging my students – and myself – to write micro fiction or micro nonfiction to practice writing concise yet high-quality prose. With only 300, 100, or only 6 words to create an entire world, plot, and character, there’s no room to spare for fluff. You have to jump right into the heart of the story. And that’s great advice, no matter what kind of writing you’re attempting. This column by Gayle Towell, editor of Micro Fiction Monday Magazine, has already summed up these tips more concisely than I can – remember, I’m still working on writing more concisely. Ms. Towell says this within her column, but I would like to emphasize that just because I story is super short, doesn’t give it the right to be super sloppy. Even micro stories deserve to be well-crafted. Flash Fiction Chronicles provides this very thorough list of journals and websites that publish flash fiction – which includes flash fiction’s micro fiction subgenre. 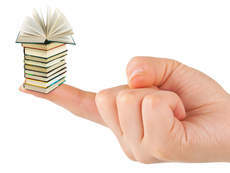 If you know of other Micro Fiction Markets, have micro fiction writing tips, or want to share your own piece of micro fiction, please share with us in the comments section! I love this, Anne! Micro fiction sounds like perfect summer writing. And wow, I had no idea there were that many flash markets! This is fantastic advice about a little known sub-planet of writing. It's also a great way to work out those stumbling blocks we writers often get ourselves stuck in! A great writing exercise and now a new market as well. Thanks for sharing.